Up to 140 police officers a day could be drafted into Kent to deal with the impacts of a no-deal Brexit. Police are preparing for gridlock on the roads if anticipated delays at the Port of Dover and Folkestone create long queues of lorries on the M20. Officers are also ready to tackle any protests or disorder that occur, Kent Police Assistant Chief Constable Peter Ayling said. The Home Office has so far given the force £4.3m to pay for preparations. 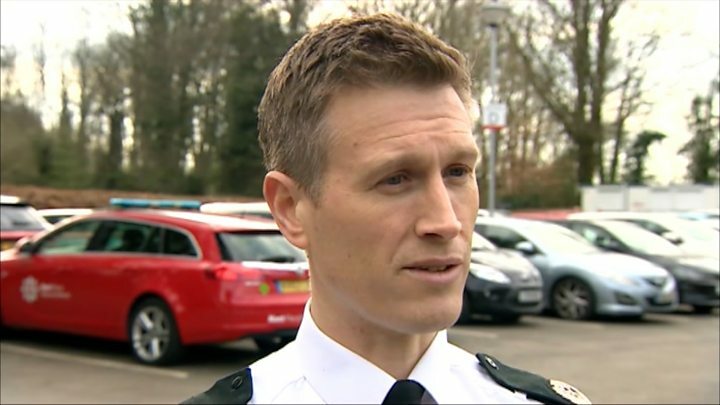 Additional officers could be "mobilised" from other forces in the UK, according to Mr Ayling, a member of emergency planning group the Kent Resilience Forum. He acknowledged that Brexit had a "polarising effect on people", adding: "So far we've not seen that move towards disorder, but if it were to do so we've got the resources...to respond." Officers in Kent had previously been banned from taking leave throughout April, but this was relaxed after Brexit was delayed. Mr Ayling said: "In the event we do exit from the EU up to 140 officers a day are likely to be brigaded into Kent from across the UK to help us manage what is a fairly complex traffic management plan." He added: "I think one of the real challenges for us in Kent, it's very difficult to predict exactly what it is we will have to deal with." The UK's departure from the EU had been set for 29 March, but has now been extended by at least two weeks. On Monday, Operation Brock was introduced on the M20, reserving one side of the motorway for HGVs heading towards the port. Under the plan, hauliers may be sent to a lorry park at Manston Airport. Highways England has been given £35m to pay for the project, while Kent County Council received £28.8m. John Kerner, Highways England project director, dismissed criticism the plan was inflexible and outdated. He said it was "the right intervention at the right time" and a "prudent measure" which could last up to six months in its current form.